Although many websites and retreat centers advertise “ancient” ayahuasca ceremonies, anthropologists suggest the ceremony is a recent historical innovation. An ayahuasca ceremony is a ritual dedicated to immersing yourself fully into the effects of the sacred brew, ayahuasca. As the brew expands around the world, many websites are advertising “ancient” or “traditional” ayahuasca ceremony services. 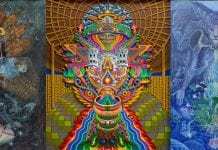 They are referring to a particular type of ceremony that has become the standard for Westerners attending ayahuasca retreats, whether in the rainforests of Peru or in the countryside around major cities worldwide. It looks something like this: a group of people drink together, at night, in a circle, while a shaman or ceremony facilitator “holds space” for each person to journey deep into a visionary world shaped by music the guide plays or sings for them. According to anthropologists, this so-called “ancient” ceremony design is one of many possible approaches and, in some senses, is a relatively new way of drinking the brew. 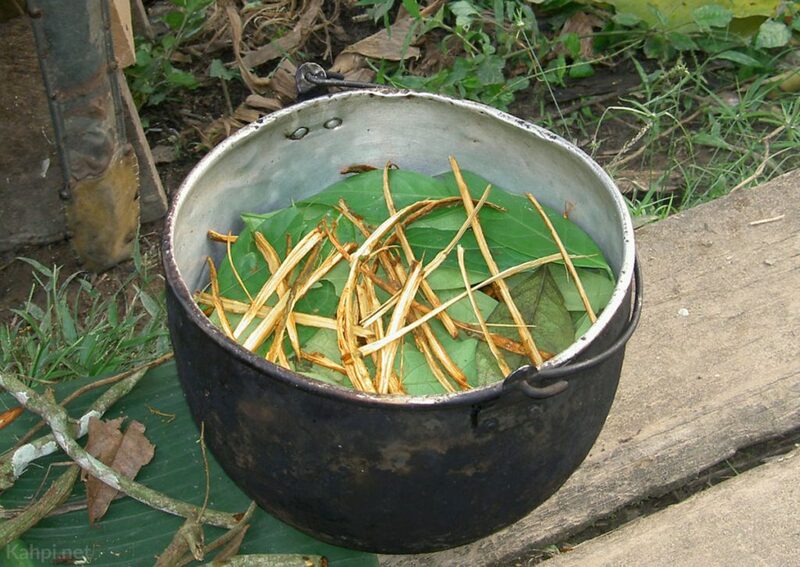 The two plants most commonly used for preparing ayahuasca are Banisteriopsis caapi and Psychotria viridis, though there are variations in preparation. Some shamans use an alternative DMT-containing plant called Diplopterys cabrerana or add extra plants and ingredients (such as tobacco or Datura) in the mix in order to increase its potency. These extra plants have been associated with more undesirable or even dangerous and toxic effects. Before ayahuasca came into wide international use, the diversity in preparation was immense throughout the Amazon basin. The brew would be made in accordance with local availability of plants, specific traditions of the area, and methods that the shamans would learn while training with elder curanderos, some of whom they would traverse long distances to meet. As anthropologist Francoise Barbira Freedman explained, it is sometimes said that the farther the shaman had traveled, the stronger their powers. The popular ayahuasca brew, today, is typically made from boiling the vine banisteriopsis caapi with the shrub psychotria viridis. But as the popularity of ayahuasca started growing and the number of Westerners who used it steadily rose over the decades; the visited areas of the Amazon saw the preparation of the brew getting modified and, ultimately, standardized to accommodate the wishes of the visitors. The DMT-containing admixture plant Psychotria viridis, chosen for its potency in inducing psychedelic visions, became an ever more present element to satisfy the visionary aspirations of curious foreign minds. The vine of choice nowadays is usually a strain of B. caapi called cielo (“celestial”) ayahuasca, as the reaction to this strain has been found to be favorable. Other admixture plant presence has mostly been reduced or eliminated. The standard ayahuasca potency now is mostly higher (the brew is made more concentrated) so as to promote both the purging effects (ayahuasca can make people vomit) and the profound visions. The original, indigenous-rooted purpose of drinking ayahuasca was varied. Ayahuasca was sometimes used for cleaning the body in preparation for hunting animals or to understand and recall patterns in the local ecological environment—such as knowing when fish are swimming upstream to spawn by seeing changes in the stars. Also, as anthropologist Bernd Brabec de Mori explained, sometimes ayahuasca was drunk in communal dance ceremonies to strengthen identity. In this instance, the brew helps people unite as part of a shared cosmology to celebrate life. In other approaches, the consumption of ayahuasca would be regarded as the shaman’s sacred task. Shamans are associated with healing and a heightened intuitive ability to detect, diagnose, and heal people coming to them with ailments, and, also, to perceive if they have been a victim of brujeria (witchcraft) or a spiritual attack by some malevolent entity. Finally, private ayahuasca ceremonies have enabled shamans to perceive possible events in the future or to consider patterns in individual and community behavior in an attempt to keep people healthy, good natured, and satisfied. Eventually, Western pasajeros (“passengers,” distinct from regular turistas) started coming in and seeking out the medicine. Few brave expeditions led pioneering wanderlusters such as Richard Evans Schultes, William Burroughs, and Terence McKenna to indigenous communities deep inside the rainforest; it’s been and it will always be a journey not everyone is up for and capable of. The more accessible curanderos would be the mestizo (“mixed blood”) shamans found in towns and villages reachable by roads and more or less civilized. 🌿Don’t miss the chance to see eminent ayahuasca researchers at the 2019 World Ayahuasca Conference in Spain. Tickets are available now! Mestizos are Spanish-speaking descendants of the jungle people of the Amazon and their European colonizers. Some have adopted and further developed the shamanic customs of their local ancestors, still using them in quite similar ways (although with marked influences from Catholicism and with Christian imagery permeating indigenous ritualistic traditions), with communal healing becoming a norm. This was explored by anthropologist Marlene Dobkin de Rios, who described group sessions taking place in 1970 in the slums of Iquitos. Down-and-out comers from the rainforest who were struggling to adapt to life in the city would take ayahuasca with a shaman in order to cope with the stress and depraved living environment. In some ways, these ceremonies were quite similar to what we see today. 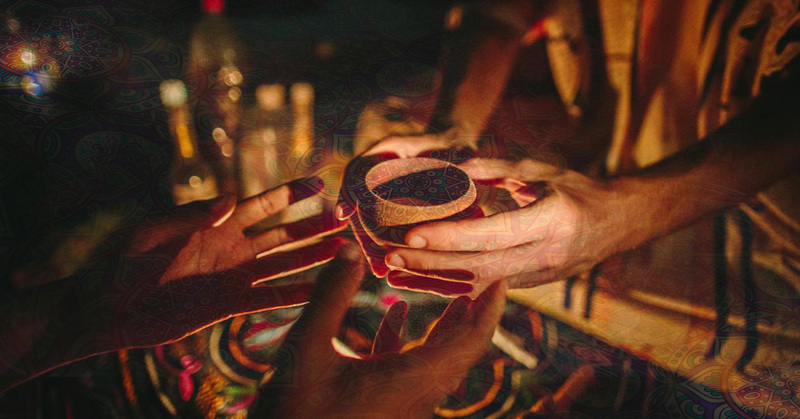 The shaman distributes the cup of ayahuasca to the group, gauging the quantity based on the perceived weight and mental health of each participant, and personally drinks a cup after everyone had been served. Following this, a period of silence in darkness ensues until the healer starts feeling the effects. 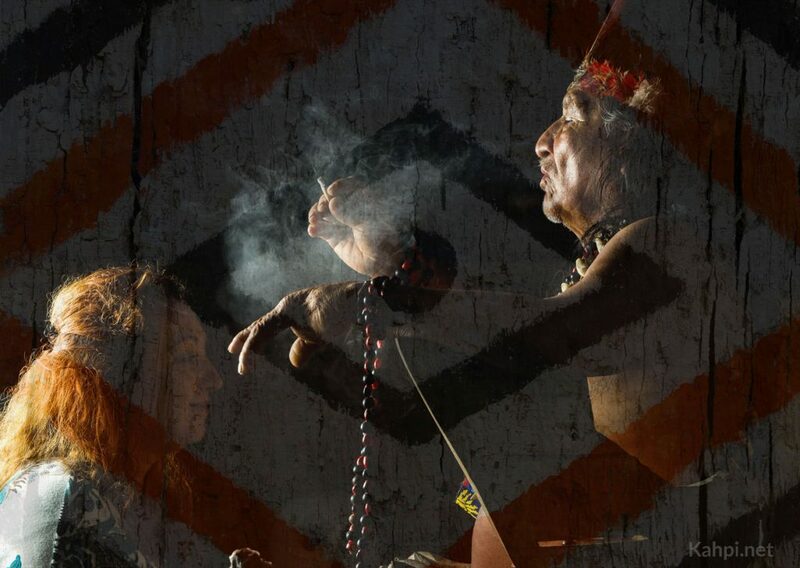 He then proceeds to sing icaros (sacred indigenous healing songs), circulate around the participants blowing tobacco smoke, shaking a rattle or a leaf shaker called chakapa, and waging war against the evil spirits making the patients in the ceremony mentally, physically, or psychosomatically ill. The subtle differences between the indigenous and mestizo ceremonies appear to be related to the influence of the Catholic culture on the latter, where the healing can take on undertones of a Western-rooted dualistic understanding of the universe where good and evil are polar opposites. 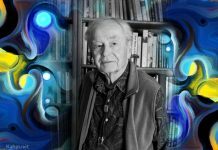 While anthropologist Luis Eduardo Luna and others suggest that the vegetalismo ayahuasca traditions in the cities has been inspired by indigenous traditions, other anthropological researchers, such as Peter Gow, suggest it’s actually the other way around. He claims that ayahuasca spread throughout the Upper Amazon particularly through the notorious rubber industries since the 1850s, and that ayahuasca was adopted by many indigenous settlements from mestizo workers from urban environments. Since mestizo shamans speak Spanish, they were able to interact with Westerners, once they started arriving in the 1950s, and offer them the medicine. Soon, as more and more foreign souls trickled in, and as a response to their desire to have the most authentic experience possible, the curanderos would build houses outside of towns, deeper in the rainforest, and on riversides, and open them up for ayahuasca ceremonies. When the supplier starts accommodating the expanding market’s needs, it’s difficult not seeing it as what it objectively is—business development. By the 1980s, parts of Ecuador and Peru had quite well-established jungle tour packages that would offer ayahuasca sessions. By the 1990s, the jungle lodges had already started being designed by Westerners for Westerners. Of course, the curanderos contracted to work for these novel retreat centers were still local mestizo or sometime indigenous shamans. The 2000s started seeing an exponential expansion of ayahuasca tourism, particularly in Iquitos, Peru. 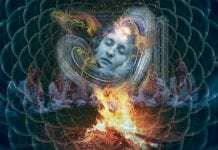 Ayahuasca ceremonies have rapidly spread globally during the previous decade or so. This development majorly influenced both the indigenous and mestizo communities of Ecuador, Peru, and Colombia. As the ayahuasca experience became more and more marketable and its desirability higher, foreign money started flooding these parts of the Amazon visited by wealthy Westerners. This money brought about massive changes that were later amplified by the technological evolution that came along in the 2010s. It gave rise to lots of interest by locals who weren’t necessarily willing to go through the years of dieting and training necessary to acquire the powers a real curandero needs to hold a ceremony. They saw the opportunity, and, thanks to the fetishizing of the indigenous culture by the Western mind (which it’s generally prone to), they decided to step in and cash out. Needless to say, the influx of money skewed the intentions of some curanderos who had been practicing true, sacred healing up to that point as well. Along with the “charlatan or fake shaman” phenomenon, some of the remainder of the local community who didn’t feel like getting into orchestrating ayahuasca sessions was also happy to find ways to cash in on the phenomenon by selling various ayahuasca paraphernalia and ethno-cultural touristic activities. The latter were eventually demoted from core purposes of jungle tours to inferior alternatives, their popularity dwarfed by the powerful drive to experience the ultimate trip in the jungle. 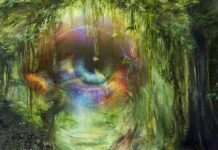 A noteworthy mention also goes out to many Westerners who, after having gone through an ayahuasca experience, began to foster shamanic aspirations of their own. Some of them would apprentice with maestros of various levels of experience and eventually become healers themselves. Suffice it to say that more falsity probably started permeating the entire ayahuasca scene as soon as money came in, although researcher Gayle Highpine notes that ayahuasca had been commercialized for a long time in Amazonia—since long before the international tourists arrived. Discussing details and further implications of this matter is beyond the scope of this article. Fortunately, the development of ayahuasca service infrastructure in the Amazon has not been marred by impure impulses of its fallen providers. 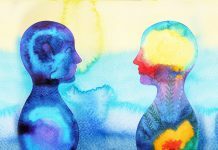 Especially now that the initial boom has subsided, and that much information and feedback about anyone serving ayahuasca is available both online and off, trips to an ayahuasca retreat can be done in an educated and safe manner. Now, more than ever before, all-inclusive, highly structured, guest-oriented retreats are being organized by reliable, well-designed centers. Normally these are located on big properties in dense, relaxing natural surroundings inside the jungle, with attached plant medicine gardens where the healers can easily find the material needed for their work. 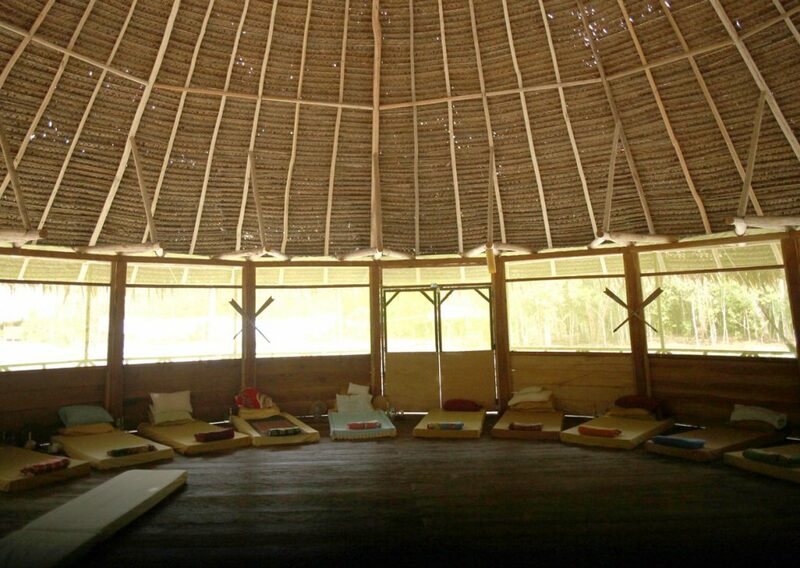 Ceremonies usually take place in special malokas (large round wooden cabins with conical roofs and no walls, designed specifically for this purpose), which are mostly empty aside from futons and buckets arranged in a circle for all the participants and a space for the curanderos and their items. The inside of a ceremonial maloka in Peru. As for the healers themselves, they are sometimes mestizo, sometimes indigenous (with translators assisting), and it’s not rare that there are several of them conducting the ceremony together. In reputable centers, these are trustworthy, vetted shamans, some of whom descend from families held in high shamanic regard. Aside from them, additional facilitators are to be expected, as are door sitters (to assist guests going in and out of the maloca), medical and security staff, food and beverage staff, and so on. The duration of the retreats normally ranges from seven to twelve days, with occasional options for shorter, as well as much longer stays (the latter usually involve taking on a volunteering or apprenticeship role). Several ceremonies are held during the retreat, and they are quite similar to the one already described in this text, with the quantity of ayahuasca served to each participant gradually increased over the days so more intense inner work can be done as time progresses. The additional value these kinds of retreat centers provide is safety, a comfortable and supportive atmosphere, and round-the-clock availability for any needs guests might have. Distinct from most smaller places, big retreat centers really focus on the idiosyncratic experience and integration of each guest. They encourage guests to privately discuss what they’re going through with facilitators, organize group sharing circles to integrate and talk, and the shamans often conduct additional healing practices, such as flower baths, throughout each day. 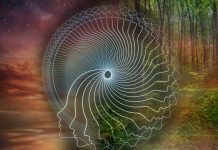 Access to ayahuasca has gone through many stages throughout the decades of its rising international popularity—from having to venture through the jungle in search of mystical healers who may or may not be comfortable with sharing their sacred medicine with curious outsiders to highly organized and safe environments where everything is set up for you to dive straight into internal healing and spiritual growth. 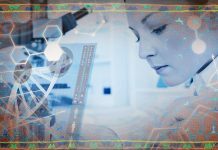 There’s no denying that we live in amazing times, and we must do everything we can to justify having such powerful medicine from another culture and reality at our fingertips. We can be misled by the apparent convenience retreats tend to offer into thinking that the actual spiritual portion of the journey will be easy too. That’s why we must always remember that ayahuasca doesn’t do the work for us; it shows us hard to access insights that we must actively work with to integrate into daily life.